Great food. Fast Delivery. Happy Customers. 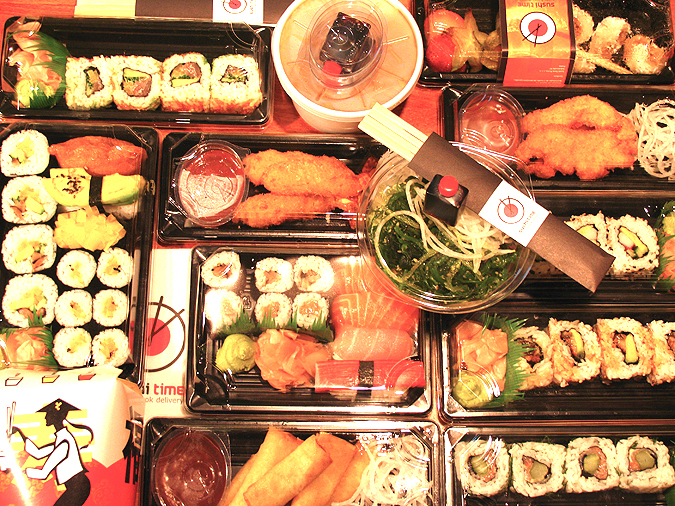 Sushi Time is a leading sushi & wok restaurant chain from Slovakia in the heart of Europe serving thousands of customers every day. Currently it has six locations in the centre of Bratislava and Prague with new ones opening soon. The owners understand that market leadership requires finding ways to delight customers while constantly improving performance. Every Sushi Time restaurant has from 4-6 couriers at all times that cover a large area catering to both consumers and corporate clients. With hundreds of orders delivered each day, they have to make sure the operation runs well so that customers can enjoy fresh food on time. Orderlord makes it easy for SushiTime to plan deliveries, optimize for shortest time and dispatch them with a click of a button. All drivers know exactly at any given time, which orders will be delivered next and how they are doing in terms of timing. Drivers always know which orders they have to deliver to which customer, how to get there easily as well as how much cash to collect while we keep the overview. The adoption of Orderlord lead to higher efficiency reflected in 30% of cost savings, delivery time reduced by 20% overall and late deliveries have been minimized under 5% with a higher customer retention. After 3 months of use there has been a 15% increase in repeat orders also thanks to a reliable and transparent delivery service. We would love to help you to create a superb delivery service. Get in touch with us today so that we can learn about your challenges and help overcome them.